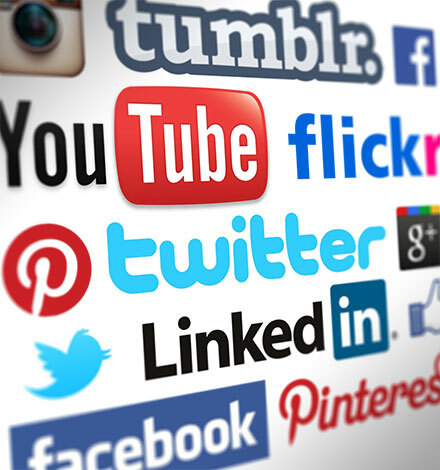 At Public, we understand that social media is a vital part of your marketing. We also know how long it takes to do it properly. That's because we use it ourselves, day in, day out to promote our own business, and have seen what a difference it makes to our bottom line. Our social media clients have seen the difference too...most of them are shy creatures and would rather we didn't shout about the fact that we manage their accounts, so we're not able to show you examples. But we can tell you why you should be using it for your own business! Social media is a cost-effective way of getting your brand out there and growing your customer base. You can use it to target new customers and generate business leads, gain referrals and actively network. You can also improve your website's SEO with links back from social media. If you're new to social media, or just don't have the time to manage it properly, it makes sense to outsource the work to an expert. That way you can concentrate on your core business activities, with the peace of mind that your accounts are being managed properly. Outsourcing means you don't need to employ staff - and you can be assured that our social media experts will produce relevant, good quality content. At Public, we offer a range of social media management packages, starting at just £210 per month. Or we can simply set you up and point you in the right direction to do it yourself with our "From Scratch" package. We can also help you out on an ad-hoc basis. Need support while you or your staff are on holiday? We can look after things while you're away. Contact us for a no-obligation chat and to find out more.